Sony is updating the PS4’s built-in Media Player app today with this feature, the company announced in a PlayStation Blog post. The Media Player app is getting an update to support 4K video playback on PS4 Pro. Following this update, 4K videos in mp4 format saved on a USB stick or home server can be played on the Media Player app. The Sony PS4 Pro is a more powerful version version of the traditional PlayStation 4 game console. Besides having more horsepower, it can output 4K video. Sony’s console only does UHD through streaming apps, such as Netflix. Unfortunately, it cannot play 4K Blu-ray discs — something Microsoft’s Xbox One S can do. This is a hardware limitation, as Sony’s offering does not have a compatible optical drive. The update will begin rolling out today; once it reaches user’s system, they will be able to view any 4K videos in MP4 format they have saved on a USB stick or home server. 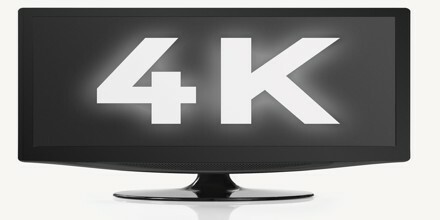 Of course, they will also need a 4K-compatible TV to take advantage of the capability. The update will also support 4K video playback on PlayStation VR$399.99 at Amazon. This means you’ll be able to “capture … 360-degree 4K footage, and then immerse yourself in that footage in VR at home — just as if you’re right back in the scene you shot,” Sony’s Vice President of PS Brand Marketing John Koller wrote in a blog post. This feature gives the PS4 Pro a bit of a leg up on the Xbox One S. Microsoft’s white Xbox One was the first 4K-compatible gaming console, and it supports 4K content via streaming video apps and its Ultra HD Blu-ray drive. But the Xbox One S does not support playback of 4K content from USB drives, whether in the new H.265 standard (aka HEVC) or the older, more common H.264 format (aka AVC). 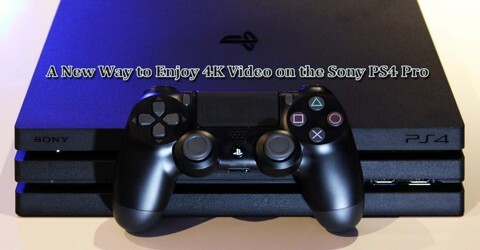 We’ve reached out to Sony for further details on the PS4 Media Player’s 4K support, and will update this article with any information we receive. Sony added support for USB external storage in the PS4’s 4.50 firmware update two and a half weeks ago; the feature requires formatting a hard drive specifically for use with the PS4. 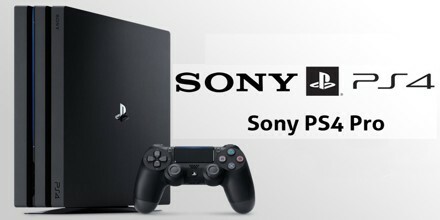 If user’s are using an external hard drive as an expansion of their PS4’s internal storage, that USB drive “can only be used to save games and apps — it can’t be used to save and play videos,” said Sony. Update (28th March 2017): After installing the PS4 Media Player’s version 3.0 update last night, we tried playing two different versions of the same 4K video: one encoded in H.264/AVC and one encoded in H.265/HEVC. Only the former video played in the app, indicating that Media Player does not support the H.265 compression standard. Update 2 (29th March 2017): A Microsoft representative confirmed to Polygon that the Xbox One S cannot play 4K video files or 4K HDR videos from USB media. The console does support the H.265/HEVC standard, but only for streaming video and UHD Blu-rays. The PS4 Pro is truly the best gaming console Sony has ever created. It’s capable of playing games in 4K HDR, sometimes at a higher framerate. And for that reason, if user haven’t purchased a PlayStation 4 already, the PlayStation 4 Pro is an excellent all-around system. 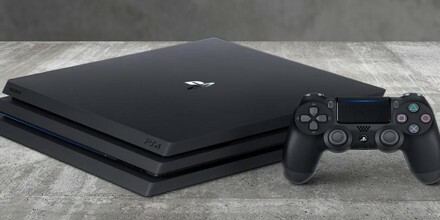 The system is encased in a matte black shell, similar to the one used on the PS4 Slim released last month, however this time around you won’t find rounded corners along the edges. The PS4 Pro is sharp in every sense of the word. Another difference is the silver PlayStation logo that sits in the center of the top surface that adds a nice touch of elegance. The other minor difference is the power cable that the PS4 Pro uses a bulkier female connector to draw more power instead of the generic two prong cable Sony has traditionally supplied with every PS4. 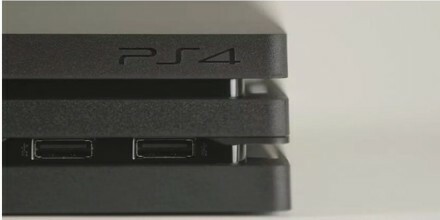 There are two Superspeed USB 3.1 ports on the front panel and one in the back, used for syncing and charging controllers as well as connecting user’s brand new PlayStation VR if they have just bought one, and HDMI 2.0a, ethernet, optical audio and PlayStation Camera ports along the back next to the power connector. The controller that ships with the new PS4 Pro is the same one that will ship with all PlayStation 4 Slim systems going forward. 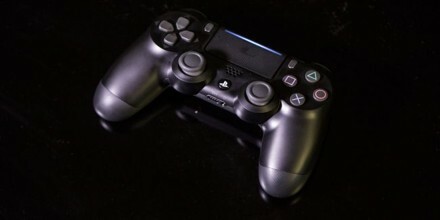 It is, essentially, a very small iteration on the DualShock 4 users have been using for years. There’s a light bar built into the touchpad – a nice feature when they don’t want to turn the controller over in their hand to find out what player you are – but more importantly the triggers have been tweaked and it feels a bit lighter in the hand.